So I bought bananas to “save” them from the clearance section at my local grocery store…and this banana bread was born! I used my favorite organic coconut flour and some delicious ingredients to make this super easy, gluten free banana bread. If you don’t have Tiger Nut flour, don’t fret! Simply sub in more coconut flour or Better Body Foods almond flour! 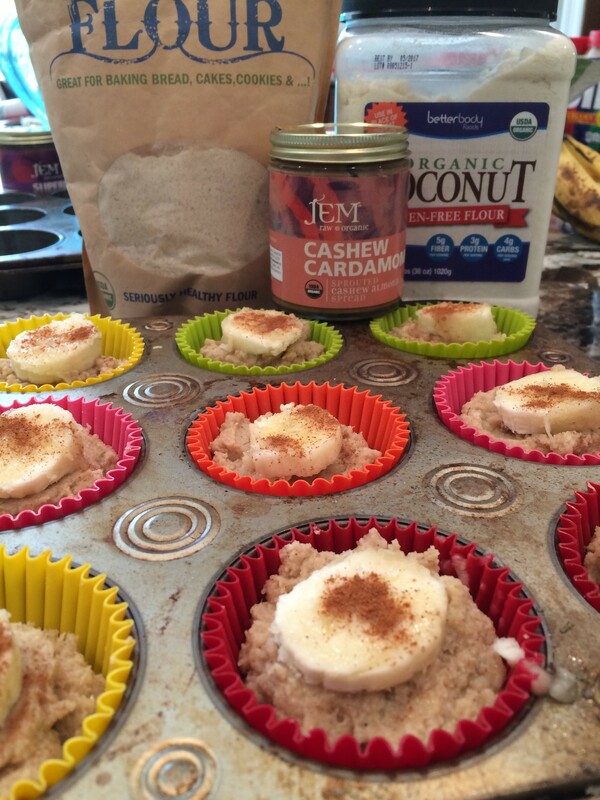 If you prefer nut-free Banana (not) Nut Muffins simply sub in coconut oil for the nut butter. Combine all ingredients in a bowl and mix well. Scoop the batter into greased muffin tins (I use silicone baking cups!). 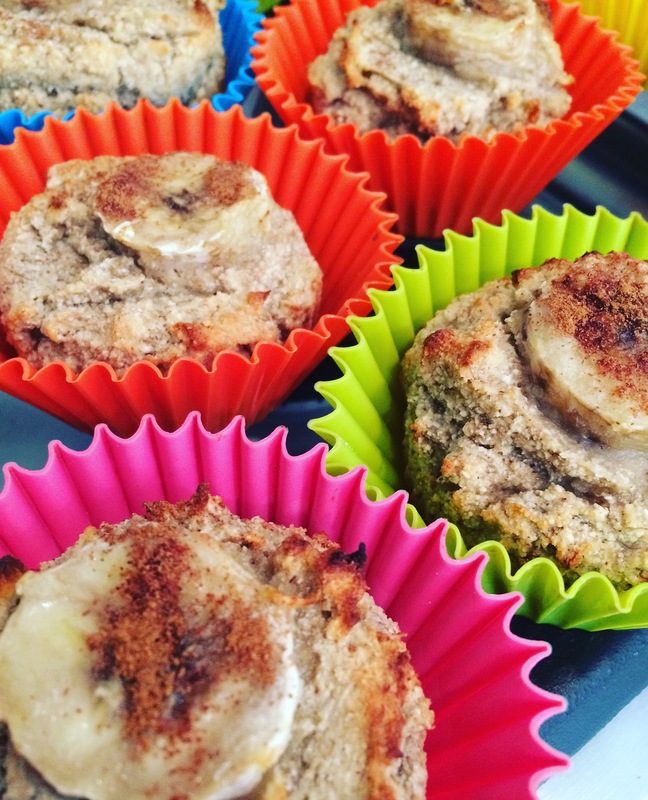 Now, if you want to make the muffins all fancy, then slice up your last banana and place a slice on top of each muffin and add a pinch of cinnamon on top! Bake for about 25 minutes or until the tops are golden brown! What flours do you like to blend? Have you entered the #BetterBodyBlend contest!? These sound fabulous! I love tiger nut flour in everything.